In the mid 1980s, this bus received an all over advert for Asda after a new large store opened on the outskirts of Plymouth. It is passing a Western National Olympian in their version of the Citybus livery. The Atlantean has been converted from two doors to single door. Following in from the post earlier in the week on the registrations for shoppers service we have this fine looking Atlantean in full Asda advert. 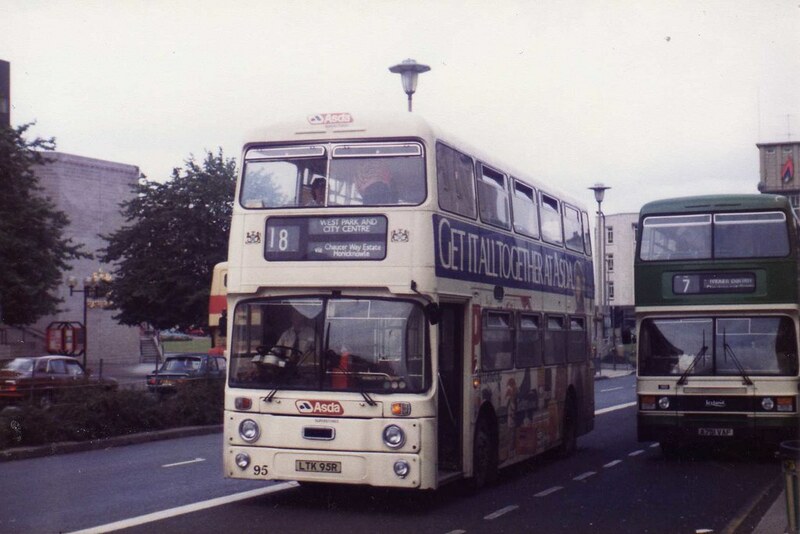 Asda looks so different now, as does Citybus! There will quite likely be a slight break in postings as I hope to be setting up a brand new PC today (Friday) which means trying to transfer lots of files across and getting all the settings and new software set up on the new machine. It has just taken 4 hours to transfer 4 GB of files across to Zaks PSP ready to move to the new PC so its clearly not going to be a quick process! Hopefully by the end of the weekend normal service will be resumed! In the eye of the beholder: Ugly buses?